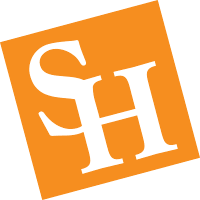 The Department of Family and Consumer Sciences (FCS) at SHSU is a long-standing contributor to successful graduates in Texas and the world. Since 1909, programs in FCS have evolved to meet the challenges of a modern-day society focusing on contemporary issues in a changing world. This evolution provides graduates with degrees relevant to current career trends and prepares them to enter a career in a global market. With flexible degree programs, you can pursue options within your major and match a minor to complement it. An FCS education provides you with practical knowledge and critical and creative thinking skills to address problems in diverse family, community, and work environments. The General Family and Consumer Sciences Program (FCS) (non-certification option) is appealing to students whose career goals include becoming event planners, work as FCS Extension Agents or non-profit agency personnel. Due to the extremely flexible nature of the program, students are able to select upper-level electives in keeping with their career goals while also being able to pursue a minor to further complement those goals. During the program, students must complete a 300-hour internship that will expose them to real-world situations within their chosen field. Many students opt for event-planning venues or home furnishings retailing while others choose to volunteer for social service agencies as fulfillment of the internship requirement. As students follow this path, they will have the choice to pursue the Bachelor of Arts (with a foreign language component) or Bachelor of Science (with additional math and science requirements) degree. This program is offered with optional teacher certification. All students who complete programs in Fashion Merchandising, Food Service Management, General Family and Consumer Sciences (without teacher certification), and Interior Design are required to complete a supervised internship of at least 300 hours. Students are provided leads for securing internship opportunities; however, part of the internship experience is securing a suitable position. We also offer students the opportunity to travel to Europe to study the works and lives of chemists and their influence on our world, especially in the areas of textiles and food science (offered in coordination with the Department of Chemistry).